This experiment is an investigation of used cooking oil as a sustainable and renewable resource for methyl ester production. 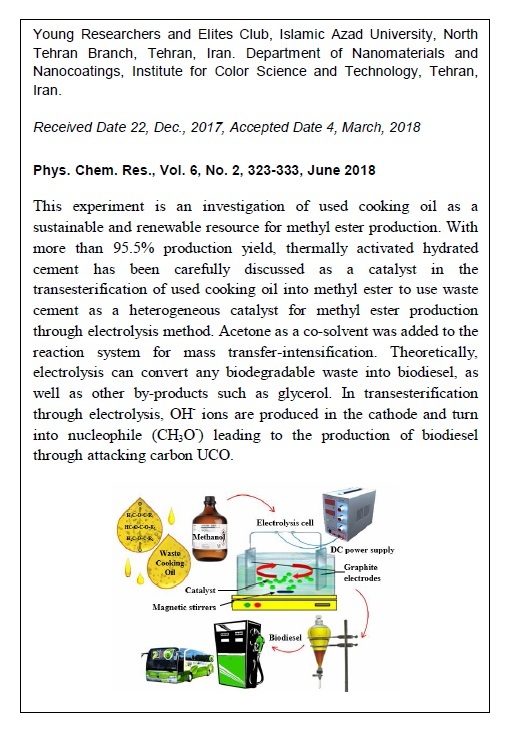 with more than 95.5% production yield, thermally activated hydrated cement has been carefully discussed as a catalyst in the transesterification of used cooking oil into methyl ester to use waste cement as a heterogeneous catalyst for methyl ester production through electrolysis method. Acetone as a co-solvent was added to the reaction system for mass transfer-intensification. Theoretically, electrolysis can convert any biodegradable waste into biodiesel, as well as other by-products such as glycerol. 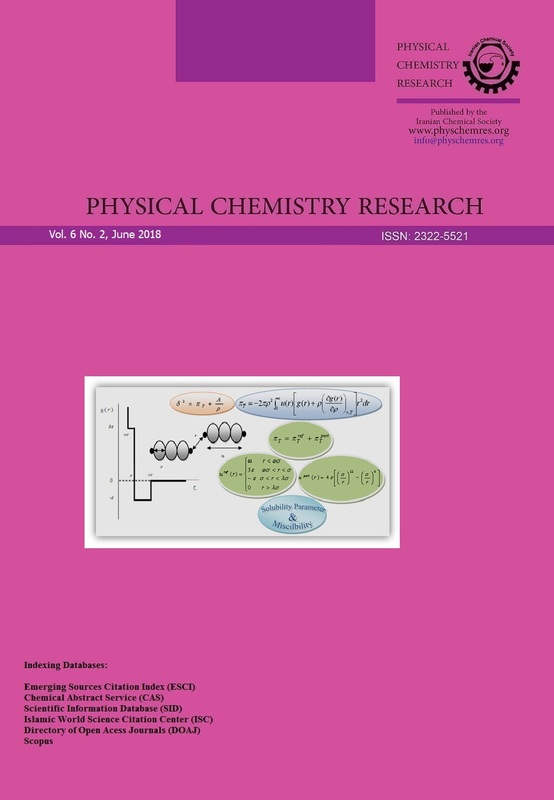 In transesterification through electrolysis, OH- ions are produced in the cathode and turn into nucleophile (CH3O-) which lead to the production of biodiesel through attacking carbon UCO. The maximum free fatty methyl ester yield was obtained under the optimized conditions of 7:1 methanol/oil molar ratio, 10wt.% amount of co-solvent, in the range 300rpm, calcination temperature 750℃, 30V, amount of catalyst 12wt.% within 2h. Methyl ester production was done at room temperature in the absence of saponification. The physical and fuel properties contents of the synthetized biodiesel were characterized applying EN standard method.